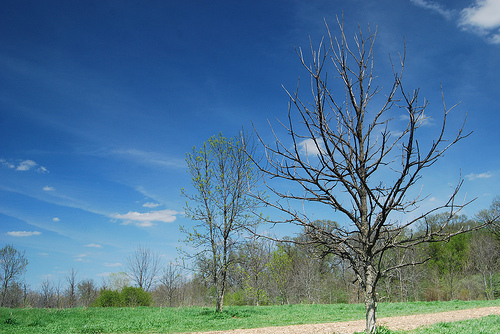 If you’ve never had the opportunity to visit Waterfall Glen Forest Preserve in Darien, you should. 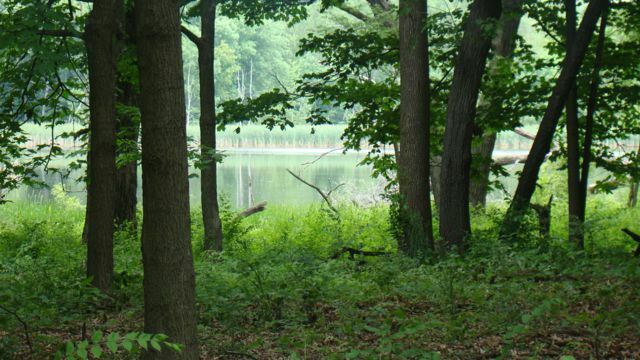 The enormous preserve completely surrounds Argon National Laboratory and features a 10-mile loop trail that is perfect for runners, bicyclists, and nature-lovers alike. 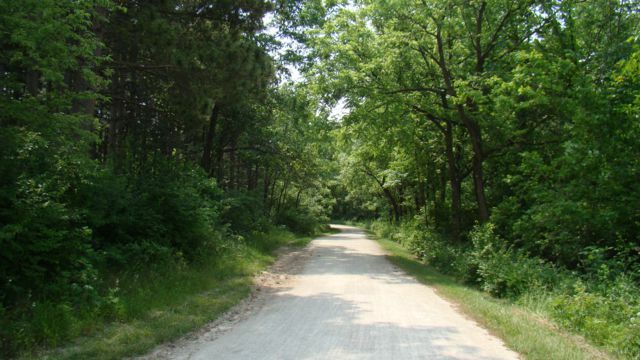 Read more about Waterfall Glen Forest Preserve. 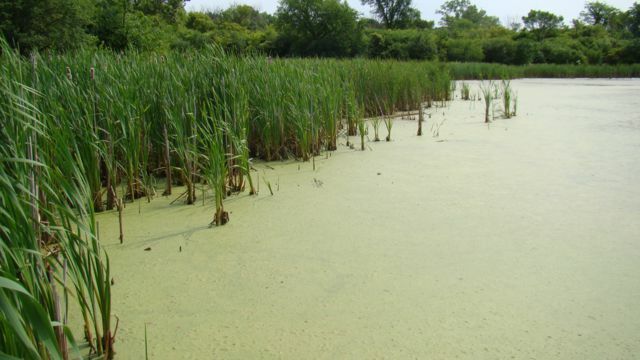 One of many wetland marshes at the preserve. One of the rarely seen Argon National Laboratory buildings in the distance. This is a zoomed in photo, the actual view from the path seems far more distant than this (see the next photo). 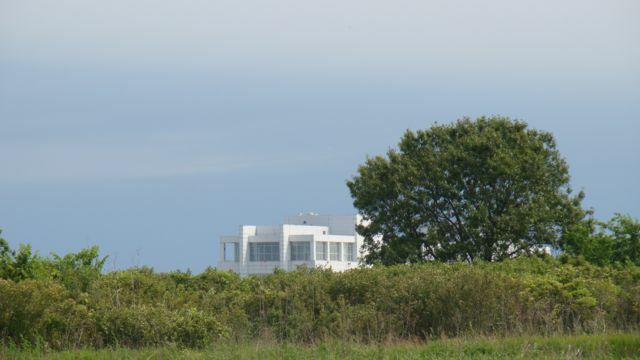 The white Argon building in the previous photo as seen from the path at Waterfall Glen. 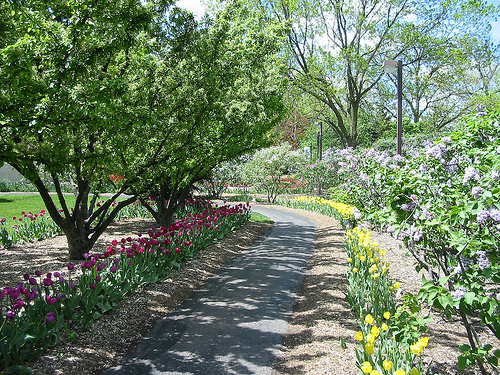 The crushed-limestone path is well maintained. 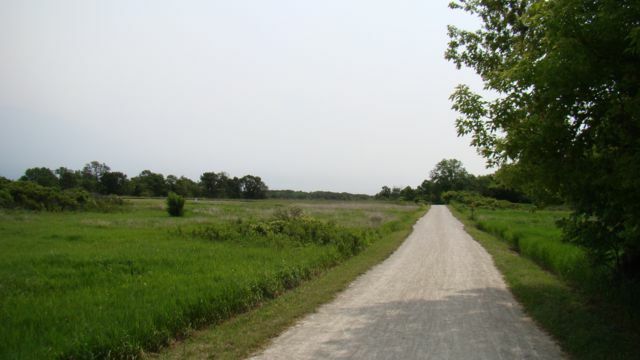 The path traverses many different terrains along the 10-mile loop; this is a one of the vast, wide-open, field terrains you will see. The path leads into the woods as the terrain changes yet again. 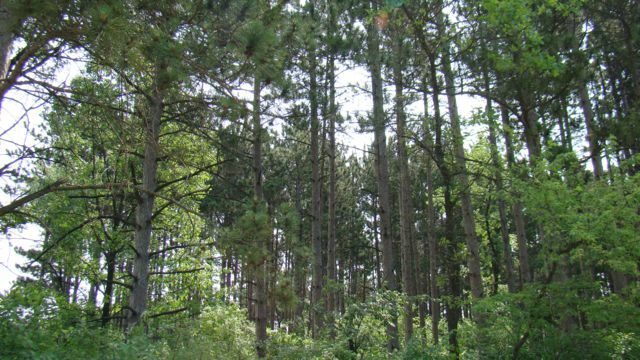 A rare sight in Illinois, an area of pine forest along the trail. A slow-moving creek as seen from the trail. 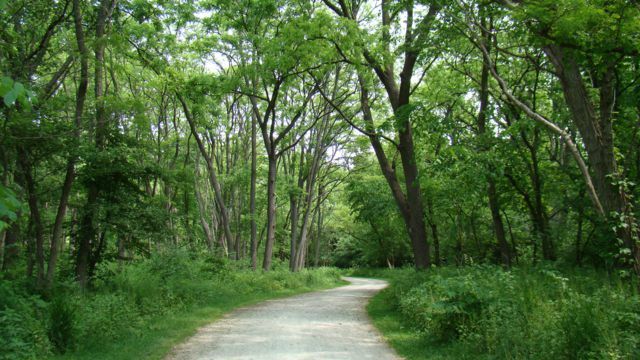 The path meanders on into a lush green wooded area. 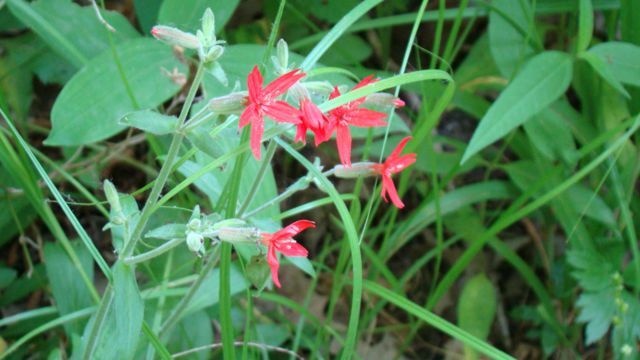 In late spring and early summer, you’ll find wildflowers in full-view along the trail. 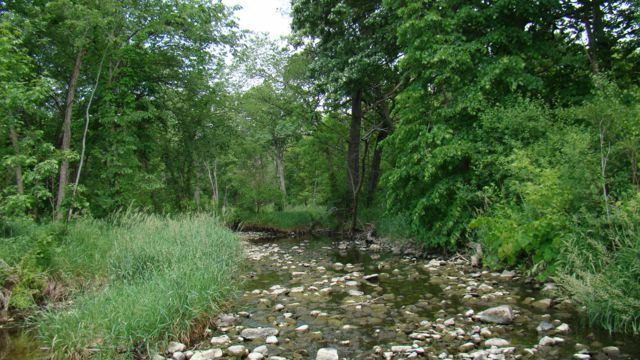 There are many small creeks and streams that crisscross the preserve. 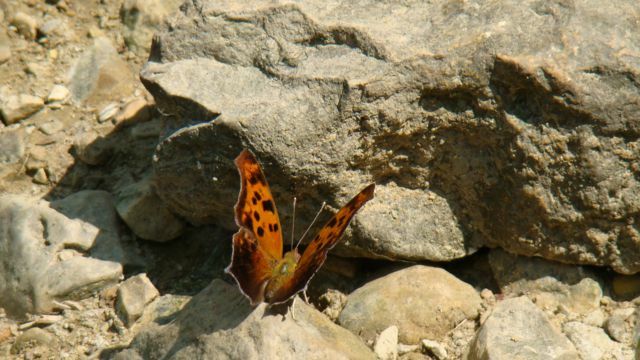 This butterfly takes a rest on a nearby rock. 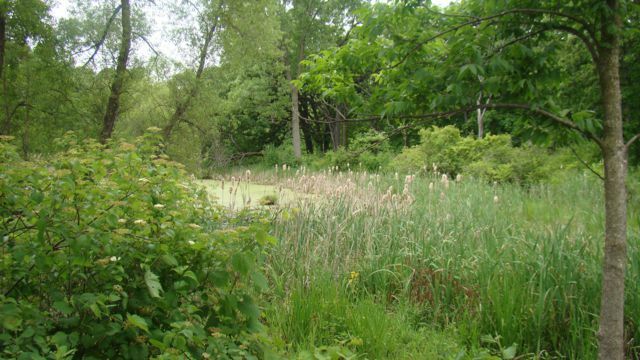 Nature-lovers will love Waterfall Glen’s abundant, thriving wildlife. 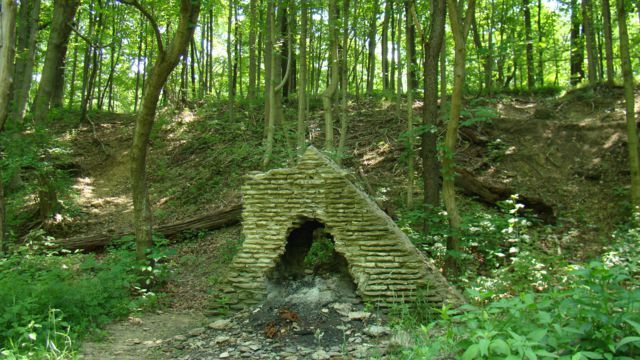 If you venture off the main limestone trail onto some of the smaller, rugged woods trails, you will find many surprises like the remains of this old limestone chimney. This small path led us upstream to the waterfall. 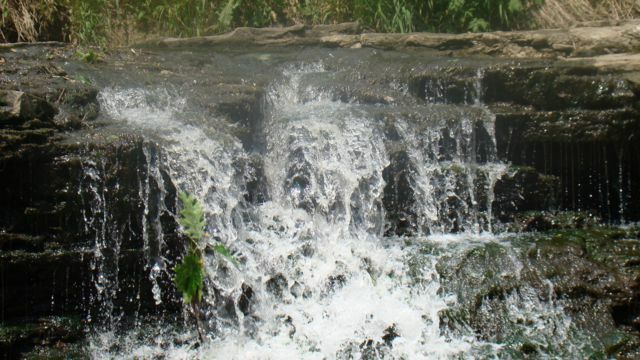 A view for the waterfall at Waterfall Glen as seen from downstream. When the water is low, the falls are slow and peaceful as they were on this day. 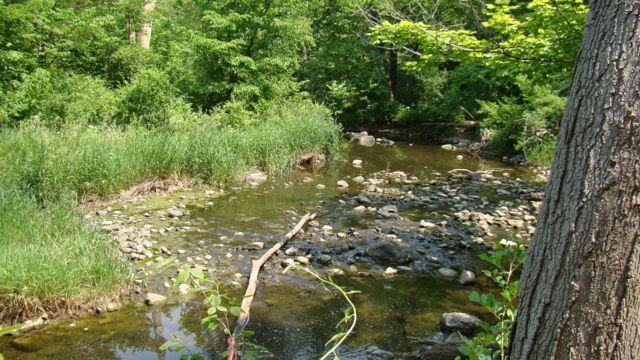 Just downstream, there are many large boulders to stand or sit on and relax. Look for fish and water-snakes busily going about there day. 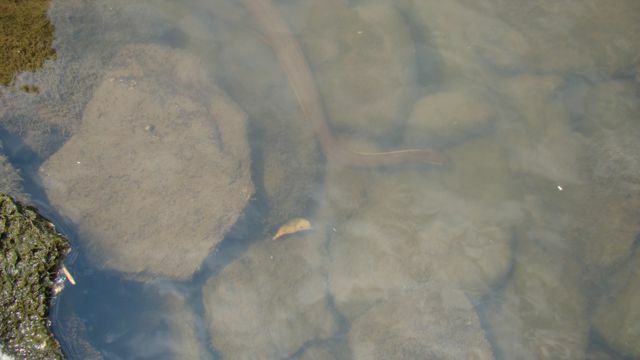 This water-snake slips in and out of the rocks just beyond the falls. Ducks take a dip in the still waters just above the falls. 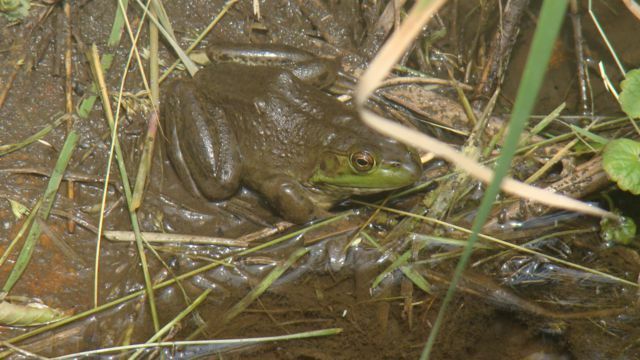 This frog stays cools in the nearby muddy banks. 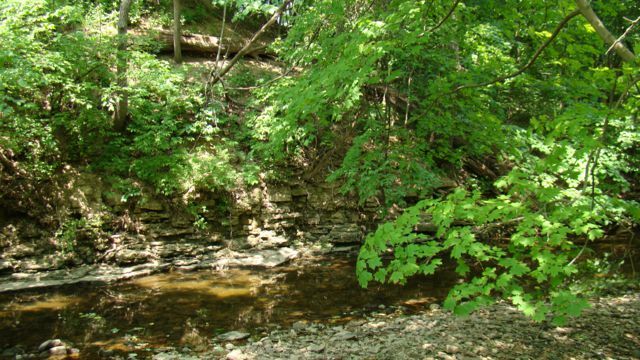 Linking back with the main preserve trail, you can continue on your way to see more of what Waterfall Glen has to offer. 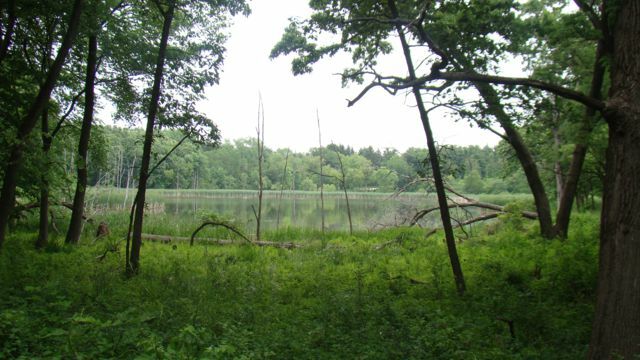 A small lake as seen from the trail leading into the northeastern portion of the preserve. Here is another shot of the small lake. 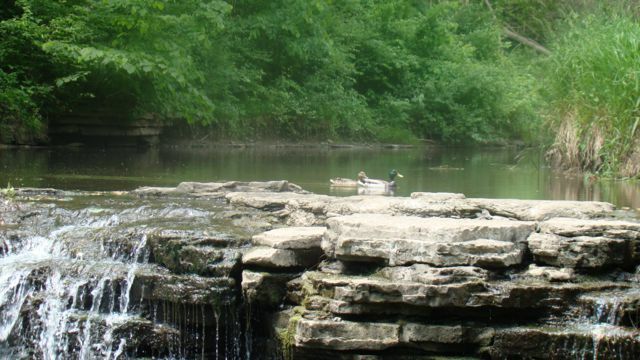 There is a wide-array of birds that call Waterfall Glen home. 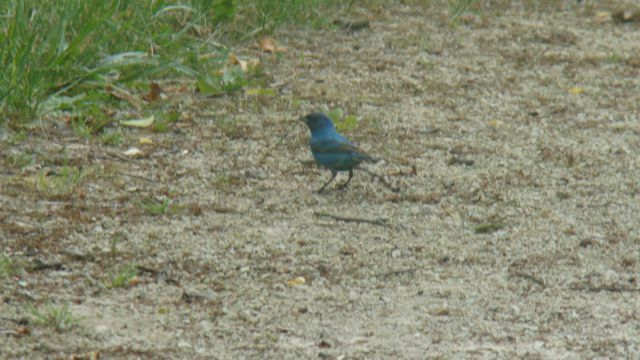 Bird-watchers will love the many bird sights and sounds. 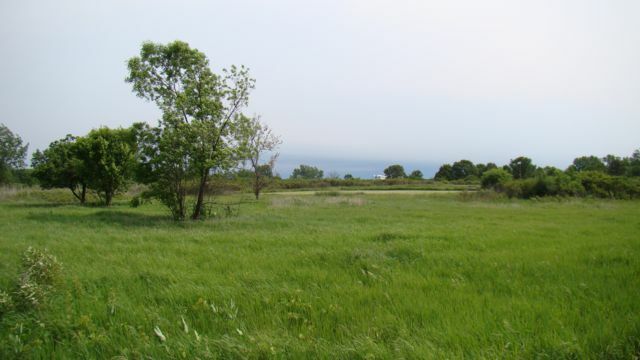 The lush vegetation is just one component of the many unique ecosystems in the preserve. 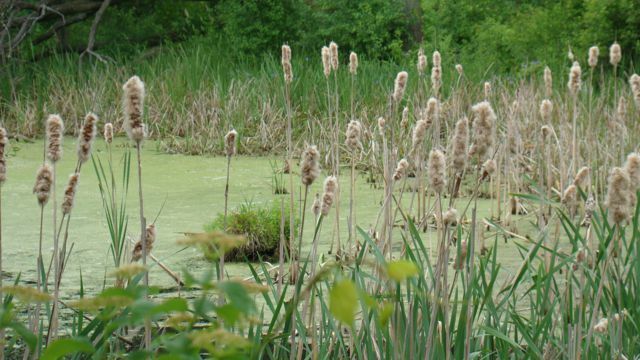 Cattails on the banks of another small pond. 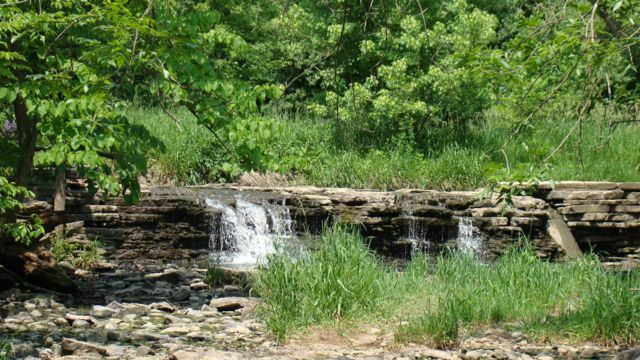 Waterfall Glen is one of the true gems of the DuPage County Forest Preserve system. 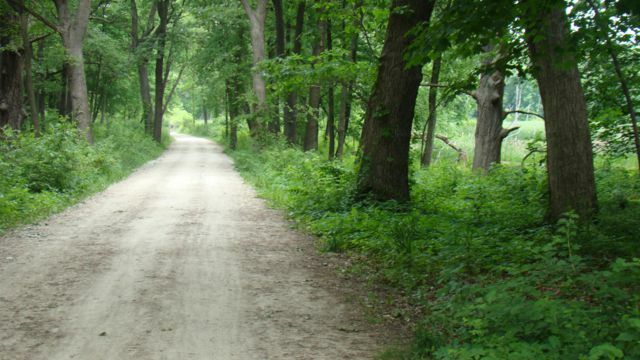 If you are capable, hike or bike the entire 10-mile loop trail. 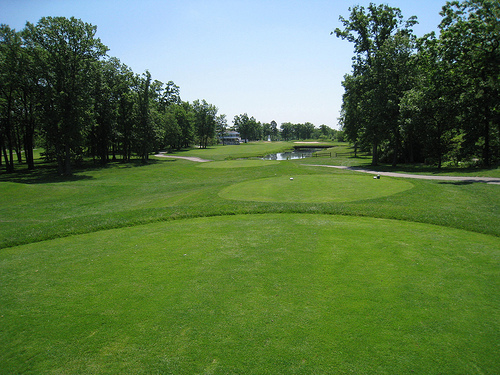 The constantly changing terrain will keep you engaged and interested for the entire length of the path. The preserve can get a bit crowded on weekends, but the further in from the parking lots you go, the less human-contact you will make.